This song was perhaps the most super hit song of eminent music director’s Ravindra Jain’s career. It had the rare prestige of being the number one i.e Top Hit song in the famous Binaca Geetmala hit parade on radio. The program featured Bollywood songs hit parade and was very popular. It was conducted by renowned RJ Ameen Sayani. Today when Indian Cinema’s great music director Ravindra Jain has passed away the lyrics of the song (incidentally the lyrics are too written by Ravindra Jain) suit befittingly to pay tribute to the legendary music composer. Like the song Ravindra Jain may have passed away but within our hearts he shall always smile as he did when alive. Winner of the esteemed Dada Sahab Phalke Academy Award and Padma Shri Award Ravindra Jain’s biggest contribution to Indian cinema besides popularizing Indian Classical music was the introduction of many talented singers who were well versed in Indian Classical music like the Yesudas, Suresh Wadkar, Hemlata, Arti Mukherjee etc. Ravindra Jain had great faith in the south sensational singer Yesudas but Bollywood producers had a hitch considering his South accent but Ravindra Jain took upon himself to introduce Yesudas in Bollywood. Despite Rajshree Pictures big boss Tarachand Barjatya’s resistance Ravindra Jain went ahead and recorded the song Tu Jo Mere Sur Main Sur Mila…. in Yesudas’s voice. However after Tarachand Barjatya heard the song tears rolled down his cheeks and he hugged Ravindra Jain for discovering a true ‘Pearl’! 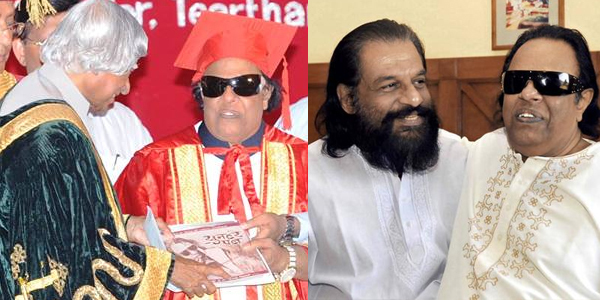 Later Ravindra Jain and Yesudas became the cornerstone of Rajshree Pictures. 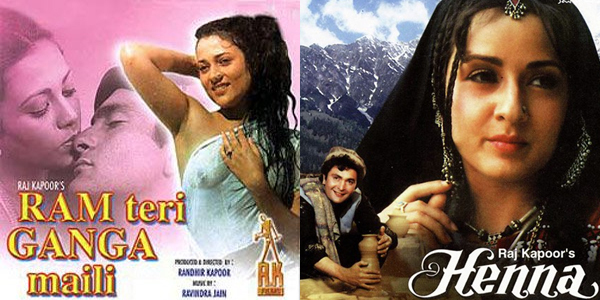 After Rajshree Pictures Ravindra Jain found success in the famous RK (Raj Kapoor ) camp who hired him for his films RAM TERI GANGA MAILI (1985) and HENNA (1992) and both films had super hit music. Who can for hit songs like Sun Saiba Sun……. (RAM TERI GANGA MAILI) that fetched Ravindra Jain his first Filmfare Award for best music. Ravindra Jain’s besides a great music composer and lyricst had vast knowledge in art and literature. For is distinguished services he was awarded honorary degree of Doctor of Philosophy (DPhils) by the hands former President of India and Bharat Ratna APJ Abdul Kalam. The degree was conferred upon him by The Teerthanker Mahaveer University. Raaga.Com offers our deepest condolence and pray may his soul rest in peace in heaven.